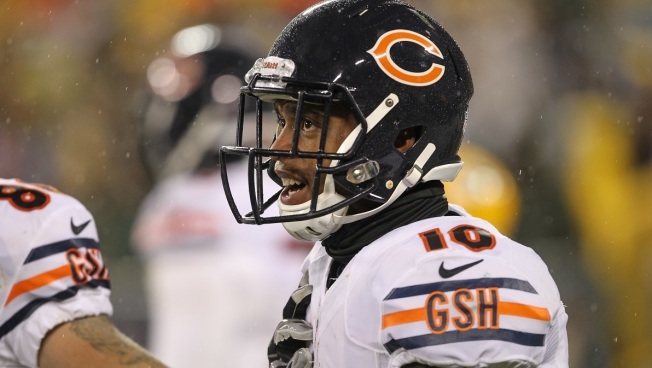 The Chicago Bears got some bad news on the injury front Friday, as it was revealed that wide receiver Marquess Wilson will miss Sunday’s game against the San Francisco 49’ers with a foot injury. Wilson suffered the injury on the last play of practice on Wednesday, and he hasn’t been on the field at Halas Hall since. With injuries knocking out players like Alshon Jeffery and Eddie Royal at different times this season, Wilson has become a more important part of the team’s offense, and losing him at this point stings for a Bears team that is finally getting healthy on offense. The Bears also made some waves by including Jay Cutler on the injury report, as he was limited in practice Friday because of an illness. He is listed as probable for the game, and head coach John Fox expects him to play. The Bears listed numerous players as questionable for the game, including Royal and Antrel Rolle. Neither player has participated in a practice this week, meaning that they are likely out for Sunday’s game. Tight end Zach Miller and defensive lineman Bruce Gaston are also questionable, while Pernell McPhee, Ka’Deem Carey, Kyle Long, and Martellus Bennett are all probable for the contest. Meanwhile, the 49’ers will be without one of their top offensive players once again, as running back Carlos Hyde has been ruled out of the game as he continues to deal with a stress fracture in his foot. Hyde hasn’t been placed on injured reserve yet, but it’s a definite possibility as he hasn’t practiced since October, according to Dieter Kurtenbach of KNBR.